Opening hours: General opening hours for shops are 10am to 9pm from Monday to Saturday, and 12pm to 6pm on Sundays. Mount Evans is Denver’s biggest natural attraction, drawing people from all over the United States to scale its Scenic Byway and catch glimpses of everything from stunning wildlife to a wonderful view of the cityscape and skyline. Just 60 miles west of Denver, the Mount Evans Scenic Byway is nearly 9,000 feet of adrenaline-fueled elevation gain. 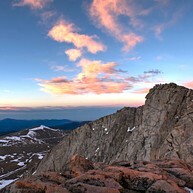 It extends from the High Plains all the way to the Mount Evans summit—which lifts to a spectacular 14,000 feet. Native to Mount Evans are birds, mountain goats, Rocky Mountain bighorn sheep, marmots and alpine wildflowers; three different hiking trails will give you the opportunity to see them: the Walter Pesman Trail, the Walter Pesman Alpine Garden Loop, and the Summit Trail. 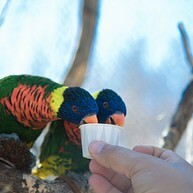 An impressive home to over 3,500 animals of over 650 species, the Denver Zoo is certainly worth a visit. In addition to exhibits like Bird World, Tropical Discovery, Primate Panorama, and Dragons of Komodo, the zoo has added the new Predator Ridge exhibit, which showcases 14 African species of mammals, birds, and reptiles. There is no shortage of astonishment and lasting experiences. 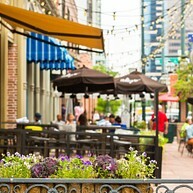 Referred to as “LoDo” by the locals, Lower Downtown Denver is a markedly stylish area of the city. Its charm is garnished by historical brick buildings and the Union Station, while the happening Wazee Street has art galleries, shops, restaurants and cafes. Lower Downtown’s nightlife is second to none. Bars and clubs can be found on Market Street—14th to 20th Street to be exact—which close at 2 in the morning. The Denver Botanic Gardens and its satellite locations are a Shakespearean sonnet come to life. Four gardens with four distinctive identities are available for leisure, education or play. 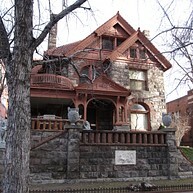 The gardens at York Street serve as a testament to Denver’s Western heritage. The gardens at Chatfield possess a rustic peace. The Mount Goliath gardens offer subalpine, alpine and mountain vistas of Denver. The Mordecai Children’s Garden is a land of exploration for kids and families through the seasons. Take a day to watch your children “ooo” and “ahh” in the amazement of the Children’s Museum of Denver Marisco Campus! Open to kids from newborn to age 8, this museum has established itself as an institution within which special activities and events help children learn and grow. 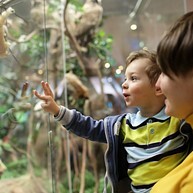 Interactive “Playscapes,” daily programs, and educational exhibits have all been designed for little ones. Home to the National Football League’s Denver Broncos, Broncos Stadium at Mile High is a newly revamped stadium that impresses even visiting teams. During the months of June, July and August, public tours are conducted Tuesday through Saturday, and Thursday through Saturday during the remaining months. With a mission "to inspire courage, conviction and proactive change in the spirit of Margaret Brown,” this museum provides a fascinating view into the life of Titanic survivor Maggie “Molly” Brown. As one of only several national sites that explore a woman’s story, this Victorian Mansion has been restored and maintained to keep a part of Denver’s history alive and well. 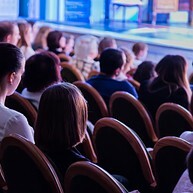 This performing arts center features the Tony Award-winning Denver Center Theatre Company, who takes the stage to world premiers, revivals and classic favorites. 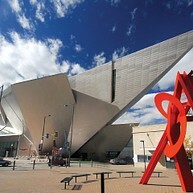 Cabaret and musical tours can be found with the Denver Center Attractions. Backstage tours and even acting classes are held, and the Seawell Grand Ballroom holds galas and receptions. Be prepared to indulge for hours in art from all over the world at this lovely Art museum. 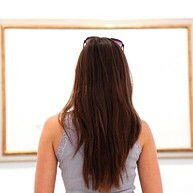 Experience European art, Modern art, South and Central American and the Native American. Architecture, design and graphics selection is also in place as well as textile art and fashion gallery. Check out the upcoming exhibitions. 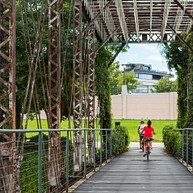 Washington Park is characterized by extensive green areas which make the park a great option for a day out. Make this walk in the park a bit special and rent a two-seater recumbent bike and see the park from a different perspective. There are many different activities to be found here, but sometimes just bringing a nice picnic is enough. Stranahan's Colorado gives you the opportunity to get to know whiskey. This tour is fun, informative, and tells you about the history of whiskey. Here you will see a brewery with a great mix of old and new technology. Don't forget to try some Colorado Whiskey! This museum house is simply incredible and is definitely a must-visit when you are in Denver. The whole museum is dedicated to Mr. Clyfford Still and his amazing modern art. Book a museum tour and get a deep insight into the significance of the exhibited works. This Denver location breaks the stereotype of museums being boring with its interactive family-friendly exhibits. Try the second floor to measure your health conditions or head to the top floor observation deck with special equipment allowing you to safely look directly at the sun. Colorado State Capitol building is the home of the Colorado General Assembly. The majesty of the building turns it into a prominent local landmark. The possibility to take a picture at the Mile High mark on its stairs makes the trip all the more exciting. 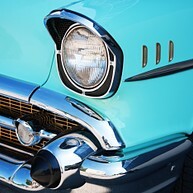 Forney Transportation Museum is a venue which holds a priceless collection of vintage vehicles, including (but not limited to) cars, motorcycles, trains and bicycles. The wide range of attractions provide the whole family with a lot of entertainment.